Tackling stormwater in Puget Sound is an all-hands-on-deck situation. Organizations throughout the Puget Sound region are using innovative and creative solutions to address this challenge that continues to be the No. 1 polluter of our waterways. Did you walk by a tree today? Then you walked by a green-infrastructure solution for addressing stormwater and providing many other benefits for humans and habitat. The challenge of stormwater pollution and its impact on our Puget Sound is significant. But organizations, agencies and individuals throughout Puget Sound are using innovative and creative solutions to address the No. 1 polluter to our creeks, lakes and waterways. Trees in urban areas — especially those close to impervious surfaces — reduce stormwater pollution by intercepting water before it hits the ground and helping it infiltrate the soil if it does hit the ground. We are seeking projects that will enhance the urban forest canopy, with specific focus on contributing to positive stormwater management, human wellbeing and other benefits. Check out the projects previously funded through this opportunity. 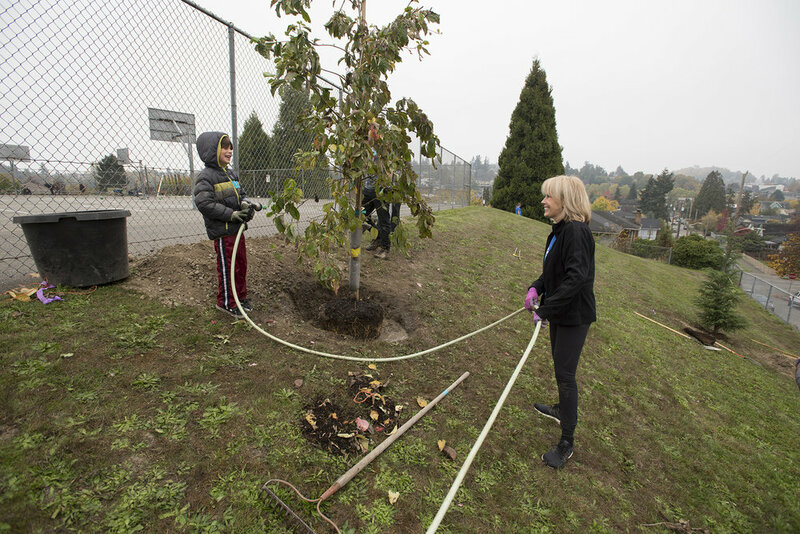 Up to $250,000 in funding will be distributed through this request for proposals supporting both the planning and implementation phases of tree planting efforts. Proposals are due Feb. 27. View the full Request for Proposal for more information.